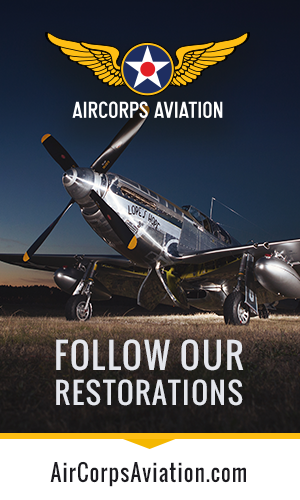 The Traveling Exhibit, which features a P-51 Mustang similar to the one used by the Airmen, will be open to the public from 10AM to 5PM each day February 26th through March 2nd 2013. While there is no charge to experience the Traveling Exhibit, there is a $12 fee for museum admittance, however the museum has waived that fee for those 18 and younger during this event. 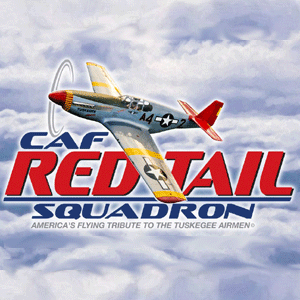 The Tuskegee Airmen, sometimes known as “Red Tails,” were the first black fighter pilots to serve in the U.S. Army Air Corps (now U.S. Air Force) in World War II. They painted the tails of their fighters red. After experiencing the Airmen’s extraordinary bravery and skill, bomber pilots began requesting the “red tail angels” as escorts to protect their “big heavies” from German fighters. The Airmen flew more than 15,000 combat sorties and earned hundreds of medals and designations, including the Congressional Gold Medal in 2007 in honor of their military service to the United States. The RISE ABOVE Traveling Exhibit is housed within a customized 53-foot trailer with expandable sides that features a 160-degree curved movie screen and seating for 30 in its climate-controlled theater. It is a key part of an educational initiative to help visitors understand and appreciate the history and legacy of this special group of black pilots. A short, original movie called “Rise Above” by Emmy Award-winning filmmaker Adam White of Hemlock Films focuses on what the Tuskegee Airmen and their support personnel overcame to fly and fight for their country during World War II. It also features some great flying footage involving the P-51C Mustang. Visitors will be spellbound as they hear how, after training at the segregated base in Tuskegee, Ala., the black pilots and their crews were deployed first to Africa and then to Italy, where they distinguished themselves as military aviators. With determination and skill, they proved that black men had the courage and intelligence to fly and fight effectively against the Axis powers. For more information, please visit www.redtail.org or call (888) 928-0188.